Get to the root cause of your condition and reclaim your vitality in just 6 weeks. As someone who has struggled with an autoimmune disease myself, I want to tell you that you CAN take back your life! It takes hard work and commitment, and I have seen first-hand, in myself, in my patients, and in the tens of thousands of people who have done my program, that if you make the lifestyle changes, you can make a difference and take back your health. I have created this six-week program to help you experience those same results! This proven program is packed with step-by-step resources and empowering tools that allow you to nourish and support and your immune system balance. You CAN Reclaim Your Life From Autoimmunity! You're not alone if you've faced doctor after doctor addressing individual symptoms, but failing to look at the WHOLE YOU - at how your symptoms are interrelated. You may have been encouraged to take harsh medications to suppress your “overactive” immune system and told you'll be on those medications for life. You may have been discouraged by the medical community's stance that your condition is a result of genetics, so diet and lifestyle will not impact your condition. You may have even been told that your symptoms are “all in your head,” which can leave you frustrated, isolated and with little or no faith that healing is possible. That's exactly what I heard during my own struggle with an autoimmune condition! And after conventional medicine failed me, I made it my mission to not let it fail you too. That's why I've dedicated my medical career to finding another way, a way that ignites the body's natural healing ability. Here's how we'll approach your condition together over the next 6 weeks. You're invited to step outside the bounds of conventional medicine, to view your condition on what I call the autoimmune spectrum. In this model we track how your symptoms fluctuate based on your environment and lifestyle. On one end of the spectrum are those with full-blown autoimmune conditions who are suffering from extremely high levels of inflammation. On the other end are those with with little or no inflammation, who are living mostly symptom-free and healthy lives. Can you see that by addressing inflammation, you can change the trajectory of your health journey? Is your goal moving backwards from full-blown autoimmunity to symptom-free healthy living? To accomplish that you'll need to pinpoint the root cause of your autoimmunity. What's Really Causing Your Autoimmunity? Through my experience as a functional medicine physician and working with thousands of autoimmune patients, I've identified five key root causes that play a key role in the creation of autoimmune diseases. Over the next six weeks, we'll explore the following root causes and prioritize which to address first based on your symptoms. In The Myers Way® Autoimmune Solution Program we will take a deep dive into all five of the root causes of your autoimmune disease. I will explain how they contribute to your illness and how you can make the necessary dietary and lifestyle changes to support your immune system, achieve your goals, and take back your health. The Myers Way® Autoimmune Solution Program was designed for anyone who has been diagnosed with any type of autoimmune disease and is ready to address the root cause of their symptoms, regain their vitality, and find a true solution for lifelong health and happiness. I created this step-by-step six-week program to make it as easy as possible for you to uncover the true root cause of your autoimmunity, and adopt proven strategies to support your health and well-being. However, there are no magic pills or miracle cures in this program. The steps are all straightforward and simple to follow, but it takes hard work. The good news is, I will arm you with all of the tools, resources, and support you need to make the transition stress-free and sustainable! You don't have to settle for a lifetime of harsh medications, or a list of symptoms that only gets longer. You can live a vibrant and healthy life, regain your well-being and vitality, and feel better than ever. or ANY OTHER AUTOIMMUNE CONDITION! ** This program is not intended to be a replacement for your insulin or supplemental thyroid hormone. However, some participants may be able to reduce the amount of hormone they need to take. Be sure to work with your healthcare provider before reducing or discontinuing any prescription medication. "When I was in my second year of medical school, I discovered something huge. I had an autoimmune disorder. Before I got a diagnosis of Graves' disease, doctors had dismissed it as all being in my head. They attributed my tremors, insomnia, and anxiety attacks to the stress of medical school. And once I had a diagnosis? The options before me were all harsh medications, a surgical procedure, or radioactive iodine with side effects that didn't seem any better than the symptoms of my disease! Even when I conceded and took the harsh medications, and ultimately the radioactive iodine that destroyed my thyroid, I knew - in my gut, that there had to be a better way. An approach to health that worked with my body's natural healing ability instead of attacking my body with harsh drugs and invasive surgery. 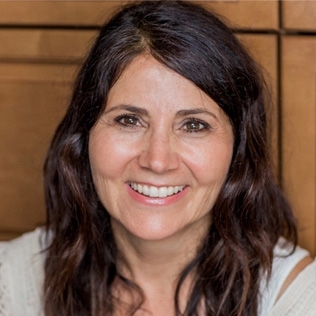 Functional medicine changed my life, and that's why I created The Myers Way®. Through my unique, solutions-oriented approach, I'm able to empower you to discover the root cause of your autoimmune disease. I won’t be recommending harsh medications ridden with side-effects either. Not only do I aim to help you regain your lost vitality, many find they get their life back in the process." That's when I discovered the world of functional medicine, I knew I had to help other people in my shoes to connect the dots. There were so many pieces of information on various websites and in different books it was overwhelming to find the answers I needed. I wanted to make it easy to find not only the symptoms of their illness, but the solutions to them. I ran my first 5k in December and a Spartan race in March! I was diagnosed with Lupus in 2007 and in 2011, I started getting joint pain in my hands and shoulders. My doctor put me on plaquenil. I bought The Autoimmune Solution in May 2015, and started a gluten free/paleo diet. A short time later I spoke with my doctor and got off my medication. I feel so well now I was able to run my first 5k in December 2015 and did a Spartan race in March 2016. I have never felt better. Thank you so much Dr. Myers!!!! Nearly eighty percent of your immune system is housed in your gut, so when I say the gut is the gateway to health, I mean it! This week we'll talk about how leaky gut contributes to autoimmune disease, and how to support normal intestinal permeability and optimize gut health. One of the most important changes you can make in bringing balance to your immune system is your diet. This week, I'll share the highest priority dietary changes to make, and how to incorporate them into your lifestyle. Our modern world is filled with toxins that over tax your detoxification system creating inflammation, wreaking havoc on your endocrine system and assaulting your immune system leading to autoimmunity. I'll arm you with the tools you need to minimize your exposure, reduce your toxic burden, support your detox pathways and immune system. Tips for organic shopping, even if you are on a budget! Infections may be lying dormant in your body and they can flare up on occasion and fuel the fire of your autoimmune disease. What's more, reducing your overall stress plays an important role in supporting healthy immune balance and maintaining and improving vitality and well-being. In the final week, you will learn how to reintroduce foods in order for you to discover the perfect diet for your individual needs. This is where you will find out how to turn The Myers Way® into a way of life. From meal planning to stress management, these guides will ensure that you're taking action on what you're learning. Dr. Myers' top tips to help you detox your entire home, from cleaning supplies to cookware and kitchen tools. Plus recipes to make your own non-toxic skin & body care products! Your sleep plays an important part in how your body functions and this guide will not only reset your sleep cycle, it will also decrease inflammation, eliminate brain fog, and boost your energy. This tool will help you track your goals and see the big picture of how much better you're actually feeling every week. Accountability and support from Dr. Myers to help ensure your continued success. Connect with other people who "get it" when it comes to autoimmune disorders. Discover additional books, articles, and resources that will lead you in the direction you want to go. You can learn on the go (it's mobile friendly) so you can review the material any time you need a refresher. Kaley was diagnosed with Lupus, Vasculitis, and Rheumatoid Arthritis at just 21 years old. She spent years in and out of hospitals, with no answers and nowhere to turn. 15 days after starting the program she reported feeling much healthier and happier. She was able to return to work full-time, talk to her doctor about stopping her medications, and go on her first vacation with her husband since their honeymoon! Commit to reversing your autoimmunity and get access now! This program is well worth the money! I love the way this program is put together. The videos and materials are informative and clear in this program and well worth the money. The meals and plans are easy to use, fast, simple and delicious. My whole family has enjoyed them. I highly recommend this program for anyone with an autoimmune disorder or anyone who wants to be more in tune with their health and family's health! Are You Still Wondering If This Program is for You? The Myers Way® Autoimmune Solution Program gives you the tools you need to directly impact your health. To do this, you must invest not only in this program, but also in yourself. That means watching the weekly video lessons, completing your diagnostic tools, and discovering the best foods and optional supplements for your particular needs. You will have our support all the way through, and the tools you need to sustain a lifetime of health and freedom from disease. Is this program right for my specific autoimmune condition? This program can help with ANY autoimmune condition. That’s because every autoimmune disease is a problem of the immune system, where your body is mistakenly attacking its own tissues, whether it’s your thyroid (in the case of Hashimoto’s), your joints (in the case of Rheumatoid Arthritis), or any other organ. It is by supporting your immune system so that it functions optimally and is no longer attacking you, that you can eliminate your symptoms. Yes! The Myers Way® Autoimmune Solution Program was designed as a 6-week program for those who like sticking to a schedule and having everything mapped out for them. However, if you would like to move at your own pace, you have lifetime access to the material and can move through it as quickly or slowly as you choose. What if I am traveling for business or vacation during the program? If you are traveling during the program you will still be able to participate. You will just need to have internet access and do a little planning ahead of time to ensure that you can either bring your own food or find restaurant options that accommodate your dietary protocol. What if I don't have time to cook? When you're living with illness, it can be daunting to feel like you have to put one more thing on your plate. Almost everyone we've ever worked with has had to overcome some version of this fear. And, the bottom line is - we all have the same number of hours each day. Countless others have made the time to follow this program and their success is proof that it is possible for you to succeed as well. That's why we've created a simple meal plan complete with shopping list and preparation guide to help ensure your success. How much time will I need to spend on the program each week? While everyone will be working at their own pace, we estimate that it will take approximately 1.5 hours per week to go through the materials. This includes time spent on checklists, diagnostic quizzes, and guides. You will also need to make the time to grocery shop and prepare the meals, but we have included a meal prep guide to help make that as time-efficient as possible. How will I access the materials? This is an ONLINE program, so it can be accessed from anywhere! The weekly videos and downloadable materials are accessed through your desktop, tablet, or mobile inside your online programs dashboard. We recommend using a desktop or laptop to access the worksheets and guides so that the files are easy to store and print. Can I do the program if I live internationally? Yes! You can do this program from anywhere in the world. All you need is access to the internet. Dr. Myers has directly impacted the lives of tens of thousands of people suffering from autoimmune disorders and related health issues. If you follow the protocol, we are certain you will get results. In the unlikely scenario you see no improvement, we do have a guarantee policy in place which you can read more about by clicking here. You can succeed in this program without supplements. However, they are helpful in speeding up your healing process. If you want to purchase them there are multiple diagnostic quizzes and checklists to determine your individualized supplement needs. As a participant in the program, you will receive an exclusive coupon code for 15% off your optional supplement order. Still have questions? We're happy to answer them. If there's a question you have that's not answered above, simply use the live chat button on this page, or email [email protected] and someone from our team will be happy to answer it. The Myers Way® is an approach to empower you on your own self-led journey with autoimmunity. Because everyone is different, I cannot guarantee specific results. I am confident that if you follow the protocol, and take action accordingly towards your goals you will see an improvement. If the information wasn't what you needed then we will happily give you a refund. 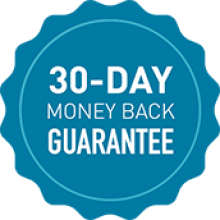 Simply provide us with your diagnostic results and all of the worksheets you have completed from the course within 30 days of purchase and we will issue a refund. My results are amazing and I highly recommend this program! I was diagnosed with Wegener's Granulomatosis over 2 years ago. I have been on high levels of prednisone and other steroids ever since. Since starting the program 5 weeks ago, my labs are looking much better. The results are inspiring and continuing to amaze me! My rheumatologist was thrilled, I would recommend this program to anyone with autoimmune disorders. I created this program to help people just like you. My greatest desire is for you to be empowered when it comes to your health. I do hope that you'll join us and take back control of your well-being and experience victory over autoimmune disorders. I know that if you take that mission on, your life will be permanently improved.